Perfectionist Auto Sound & Security in Anchorage has been selling and installing navigation systems for a long time. You could even consider us navigation experts. Our team has assembled what we feel are the best-performing, most-reliable systems on the market today. All of them are live and available for demo at our shop, using our interactive displays. Over the years, we have seen more and more people use their phones for navigation. If you ask around, almost anyone can tell you their free phone-based navigation has taken them to what was supposed to be their destination, only to find it was wrong. The stark reality is the mapping software on our installed systems is superior and will get you there on the first try. Our systems also use external GPS antennas, so they can more accurately place your vehicle on the map. When you are driving in a congested area, the increased accuracy can mean the difference in making or missing that turn in traffic. If you want to save precious time and avoid aggravation, you owe it to yourself to check out our installed systems. We have all seen it. Someone is driving erratically, holding their phone, looking perplexed, trying to find a particular location. There is a better way. When you use our installed system, it works in complete harmony with your car stereo. When you are driving up the road and come up on a turn, the system mutes your music and announces the turn. If you have to glance at the screen, you can keep your hands on the wheel and look at the big, clear display. You will be more relaxed and less distracted, so your focus can be on the other drivers around you. 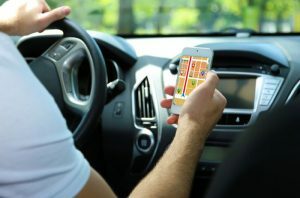 When you upgrade to a navigation system from us, you have an almost endless array of standard and available options – things like real-time traffic rerouting, satellite radio, backup cameras, blind spot cameras, Bluetooth for hands-free calling and music streaming, and USB ports for your portable media. At Perfectionist Auto Sound & Security, we are smartphone integration experts. 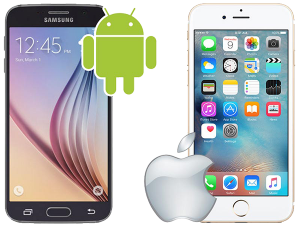 We have had Apple CarPlay and Google’s Android Auto smartphone software available to our clients since the day they came out. 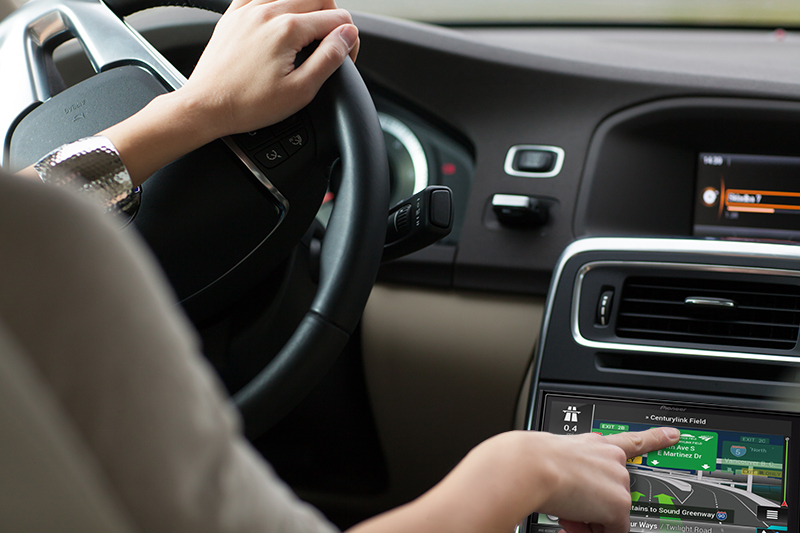 Whether you want an installed navigation system or just need the flexibility of these exciting software programs, we have you covered. Now you can make and receive calls, text messages, set and view reminders, play music, and use GPS all via voice control. Stop in and see a demo of this incredible technology for yourself. 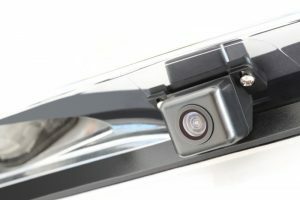 It is by far the safest way to use a smartphone in your car, truck or SUV. 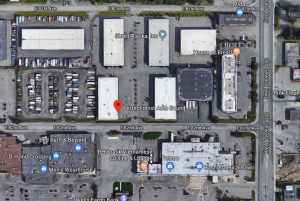 The best way to see all the navigation options available for your vehicle is with a visit to our state-of-the-art facility. Our team of experts will work with you to find the best solution for your unique needs. Let us show you why Perfectionist Auto Sound & Security is the most-awarded mobile electronics retailer in Alaska.